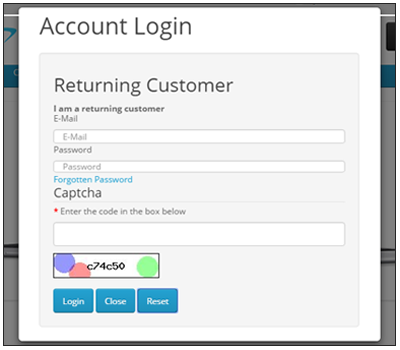 Quick Login and Registration : Quick Login and Registration is an Opencart module which allows the users to do the login & registration on the same page. The users don’t need to go to another page and fill in the details for login or registration. It saves the time of the users as they won’t have to sit and wait for another web page to load. The users can instantly enter their login or new user registration details in the pop-up window and continue shopping. Opencart Quick Login And Registration : Quick Login and Registration is an Opencart module which allows the users to do the login & registration on the same page. The users don’t need to go to another page and fill in the details for login or registration. It saves the time of the users as they won’t have to sit and wait for another web page to load. The users can instantly enter their login or new user registration details in the pop-up window and continue shopping. Setting up and configuring this module is very simple. The admin can set the module status as enabled or disabled. Security captcha can be enabled or disabled for the login & registration. Login & registration can be done from any page of the store. Users don’t require to visit another page for logging in or registration. 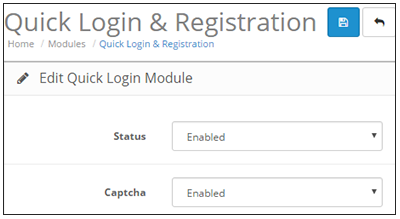 Quick Login & Registration module is based on Ajax technology. It can set the status of Quick Login and Registration module as enabled or disabled. Enable or disable security captcha verification for login and registration. So whenever a user wants to login or register to your store, it can simply click the My Account link and select Login or Register. The user will not be redirected to a new page, instead, a small pop-up window will appear on the same page. After the login/register, the user can continue to the same page of the store. The users will not be redirected to another page for login or registration. The users stay on the same page after the login and registration. Did you buy Opencart Quick Login And Registration? 5 stars do not cover it, they deserve so much more! Best module! Very satisfied with their service. They are very professional and friendly. Strongly Recommended !